A short biography of French anarchist a writer, Sébastien Faure. Sebastien Faure was born in 1858 into a middle-class Catholic family in Saint-Etienne, near Lyon in central France. He was very well educated at Jesuit schools and intended for the priesthood, but after his father's death he went into the insurance business. After military service, he spent a year in England. He married and moved to Bordeaux (in south-western France). He soon lost his faith and became a socialist. He stood unsuccessfully as a candidate of the Parti Ouvrier (the Marxist Workers Party) in the Gironde in the 1885 election, but under the influence of Peter Kropotkin, Elise Reclus and Joseph Tortelier he moved towards anarchism. In 1888 he broke with the authoritarian socialists, settled in Paris, and devoted the rest of his life to a career as a full-time propagandist for anarchism. He and his wife separated, though they were reconciled many years later. He became a very active writer and speaker, earning a living from giving lectures all over the country. He never pretended to be an original thinker, but he was an effective populariser of other people's ideas. He took a moderate line in the movement, and advocated an eclectic approach which attempted to unite all tendencies. He wasn't convinced by the new syndicalist movement of the late 1890s, but was an active trade unionist himself. He wasn't an individualist, but took individualism seriously. He didn't support violent methods, but sympathised with those who used them. He was by no means a mere armchair theorist, but was frequently searched, arrested or prosecuted and occasionally imprisoned for his activities. At first he was closely associated with Louise Michel, but he soon became a major figure in his own right, and one of the best-known anarchists in the country. In 1894 he was one of the defendants in the Trial of the Thirty, when the French authorities tried unsuccessfully to suppress the anarchist movement by implicating its leaders in criminal conspiracies, and was acquitted. He was involved in several papers at various times in several parts of France, the most important of which was Le Libertaire (The Libertarian), which he started with Louise Michel in November 1895 and which appeared weekly on and off until June 1914. He was active in the Dreyfusard movement to counter anti-Semitism, replacing Le Libertaire with the daily Journal du Peuple during 1899. 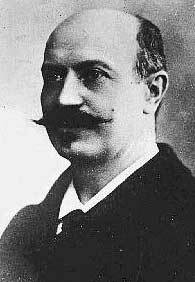 He also produced Le Quotidien (The Daily) in Lyon during 1901-1902. From 1903 he was active in the birth-control movement. From 1904 to 1917 he ran a libertarian school called La Ruche (The Beehive) at Rambouillet (near Paris) based on the ideas of Francisco Ferrer. He was a moderate opponent of the First World War, and issued a manifesto Vers la Paix (Towards Peace) at the end of 1914. He produced a general left-wing weekly Ce qu'il faut dire (What Must Be Said) from April 1916 to December 1917. In 1918 and 1921 he served short prison sentences for sexual offences involving young girls; this damaged but didn't destroy his career [NB we have been unable to discover the nature of these alleged crimes – any information you have please email us]. movement between the world wars. In the late 1920s he opposed the sectarianism both of the authoritarian Platformists and of their critics, and advocated what he called an `Anarchist Synthesis' in which individualism, libertarian communism and anarcho-syndicalism could co-exist. In 1927 he led a secession from the national Union Anarchiste, and in 1928 he helped to found the Association des Federalistes Anarchistes and to begin its paper, La Voix Libertaire (Libertarian Voice), which lasted from 1928 until 1939. He was reconciled with the national organisation and Le Libertaire in 1934. During the 1930s he took part in the peace movement as a prominent member of the International League of Fighters for Peace. In 1940 he took refuge from the war in Royan (near Bordeaux), where he died in 1942. Apart from innumerable articles and lectures (many of which were printed as pamphlets and some of which were collected as books), several anarchist and atheist pamphlets (a few of which were translated into English), and accounts of La Ruche, his main work was an ambitious trilogy of books La Douleur universelle: Philosophie libertaire (Universal Sorrow: Libertarian Philosophy), an account of the problems caused by authority, which was published in 1895; Medicastres: Philosophie libertaire (Quacks: Libertarian Philosophy), an account of false solutions to the problems caused by authority, which was not published; and Mon communisme: Le bonheur universel (My Communism: Universal Happiness), a fictional account of libertarian revolution, which was published in 1921. In 1923 he published L'Imposture religieuse (Religious Imposture), a full-length attack on religion (of which a revised edition appeared in 1948). In 1926 he began his most ambitious project the preparation of the Encyclopedie Anarchiste, one of the most impressive and valuable libertarian publications ever produced. This appeared from 1927 as a series of separate parts and then in 1932 in a set of massive volumes. The whole work, containing nearly 3,000 large pages, consisted of a general alphabetical reference-book with entries contributed by leading anarchist writers from all over the world. Faure was the editor-in-chief, and also the author of many of the most important articles. was based on a lecture he gave many times, was first published in Paris in 1914. It was frequently reprinted, and also occasionally translated. Just before his death a translation by Aurora Alleva and D. S. Menico was published in the United States as Does God Exist?. The present translation has been made by Nicolas Walter. As can be seen in the pamphlet, Faure directs his arguments against the God of the theologians, especially the Roman Catholic fathers and doctors of the Church, rather than against the God of the philosophers, and his case was fitted to his audience of French working people a century ago.